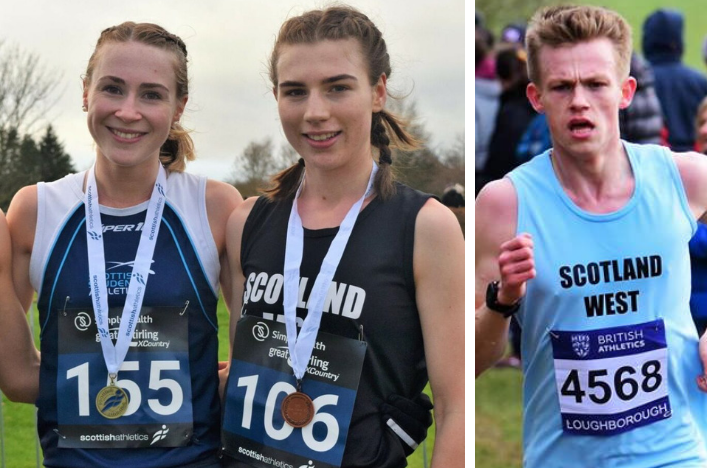 Scottish athletes staged another highly successful cross-border raid at the weekend – with Anna Macfadyen and Gillian Black the headline acts as they claimed GB and NI vests for the first time. 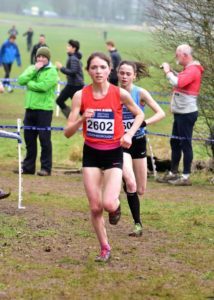 The duo made it a Scottish 1-2 in the U20 Women’s race to claim Inter-Counties medals and places at the IAAF World Cross in Ugande later this month. 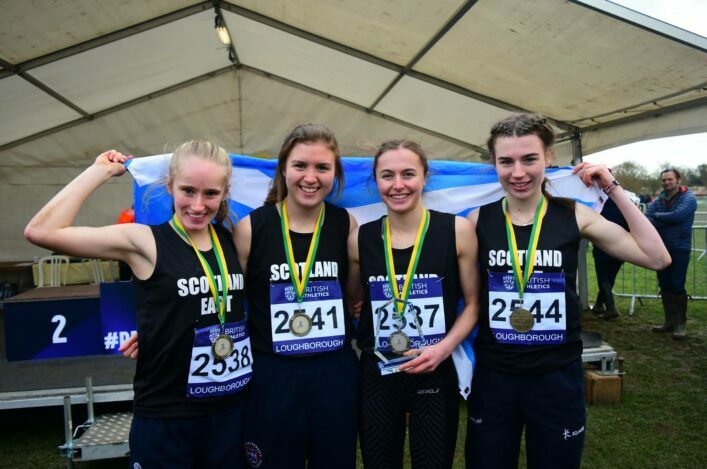 In addition to the glory for Forres athlete Macfadyen and VP-Glasgow’s Black, there were team medals for four Scottish teams on a day when the event was staged for the first time in Loughborough after switching from Birmingham. Scotland East U20 men took gold; Scotland East Senior Women took silver; Scotland East U17 Women took silver and Scotland West U15 Girls won gold. ‘It was tough going out there and it took everything I had,’ said Anna Macfadyen. ‘I had a ten hour journey yesterday; it was three and a half hours in a car and then six or seven hours on the bus; so to come through and win the race is great and obviously I’m really happy with it. To come first in a race like this is huge. Double congratulations go to Anna who wins the series title. Now injections for Yellow Fever and Hepatitis await . . . In the same race, Jemma Reekie (7th) and Erin Wallace (8th) went close to the selection places, with Erin running out of her age group. 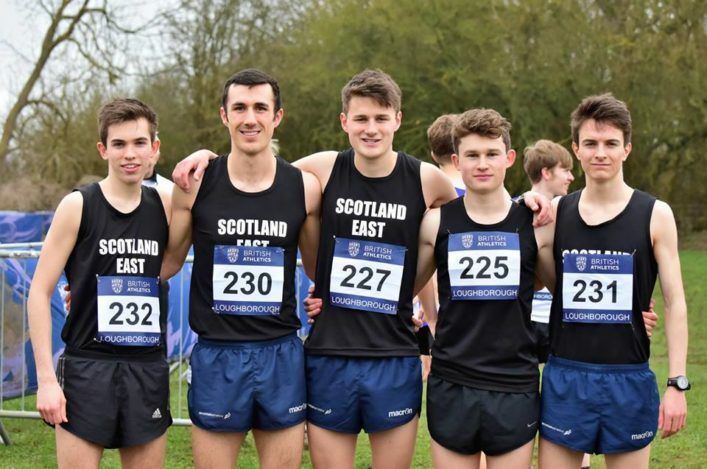 The day started well with Scotland East winning the Under 20 Men team title. World Cross Country places were up for grabs and Sol Sweeney and Ben Greenwood were with the lead pack for much of the race before it broke up. 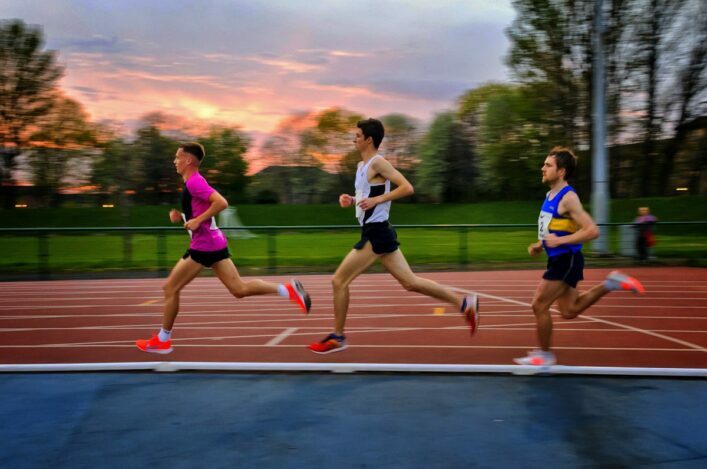 Sol Sweeney (8th), Ben Greenwood (11th), Tristan Rees (14th) and Joe Arthur (15th) were the same four athletes who won U17 Men Silver medals in 2016 and went one better this year after going up an age group. This was more team gold later in the day when Scotland West won the U15 Girls Championships. A podium second place for Lily-Jane Evans-Haggerty was backed up with Heather Barnes (5th), Isla Britton (24th) and Rosie Davidson (29th). Lily-Jane duly won the overall U15 British Cross Challenge. 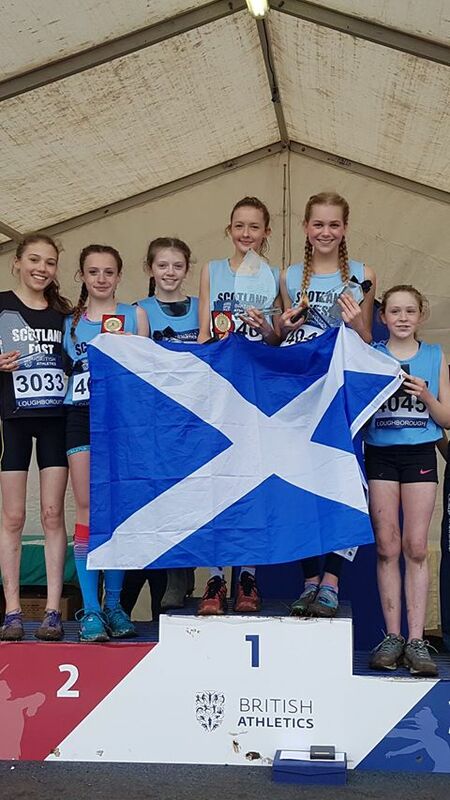 Scotland East Senior Women won silver teams medals thanks to Sarah Inglis (9th), Steph Pennycook (14th), Morag McLarty (25th), Louse Mercer (41st), Rachael Dunn (49th) and Kayleigh Jarrett (61st). 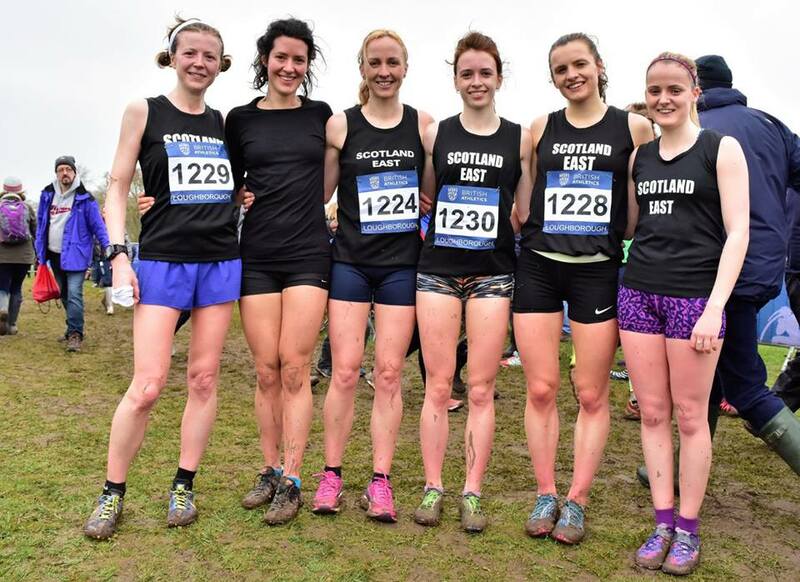 Scotland East U17 Women team packed in really well with Clare Stewart (5th), Kate Gallagher (8th) Naomi Lang (9th) and Jessica MacLeod (18th) making 40 points which would have meant gold medals on most occasions. However, Surrey scored 36 points meaning the Scottish girls had to settle for Silver team medals this time after being U17 team champions in 2016. The U15 Boys race resulted in a fine third place for Hamish Armitt of Scotland West. That gave Hamish the overall British Cross Challenge title. Best-placed Scot in the U17 Men’s race was National Champion Freddie Carcas, at 11th for Scotland East. In the U13 Girls race, Anna Hedley of Scotland East was second which was enough to win the UK Cross Country Challenge title. Last race of the day saw the Senior Men with best placing Lachlan Oates (West) (16th), Jamie Crowe (East) 18th and Logan Rees (East) 28th. 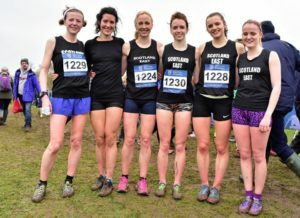 With five Individual Medals, four Team Medals and two automatic World Cross Country places, the large Scottish contingent has much to celebrate at what is still the best in depth quality cross country meeting of the UK calendar.